Though it might be hard to think about, at some point, most of us will probably need to speak to our parents about eldercare. Of course, if it’s tough to think about, it’s going to be even harder to do. Nonetheless, it’s an important conversation you absolutely must have. If you put it off for too long, something might happen, and you’ll be forced to make decisions without them. While it may still be difficult to talk to your parents about eldercare, the following four tips should help. If you have siblings, make sure they’re part of the conversation. You don’t want them to feel left out. It will also be much easier to talk to your parents about eldercare if you have support from your loved ones. If your parents are hesitant, seeing this much impassioned interest in their wellbeing may help open them up to the conversation. Most of us find it difficult to bring up eldercare out of the blue. Unfortunately, that’s what a lot of people end up doing after one of their parents has suffered a fall or otherwise very clearly needs senior living services. It’s far easier to begin the conversation ASAP, even though that doesn’t necessarily mean having the entire thing. You could simply bring up the need for estate planning, for example. Part of their estate planning will involve decisions about eldercare. Bringing this up will be especially easy to do if you’ve recently had your own will done. Whichever way you decide to do it, begin as soon as you can and opt to make it an ongoing conversation. Another benefit about starting early is that there’s no reason to feel like you need to pressure a parent into accepting senior living before something worse happens. Using pressure is always a bad idea because it could lead to the worst case scenario: your parent hiding any ailments or problems they have because they’re afraid you’ll immediately cart them off to a senior living facility. One great thing about senior living options these days is just how many there are. Many senior citizens voluntarily move into a community of people their own age. These private neighborhoods involve a number of amenities and even have some form of medical facility on the premises. Make it clear to your parents that eldercare doesn’t mean sharing a room with a stranger and following a strict schedule they have no control over. If they ever do need to join a senior living community, there is a wide range to choose from. 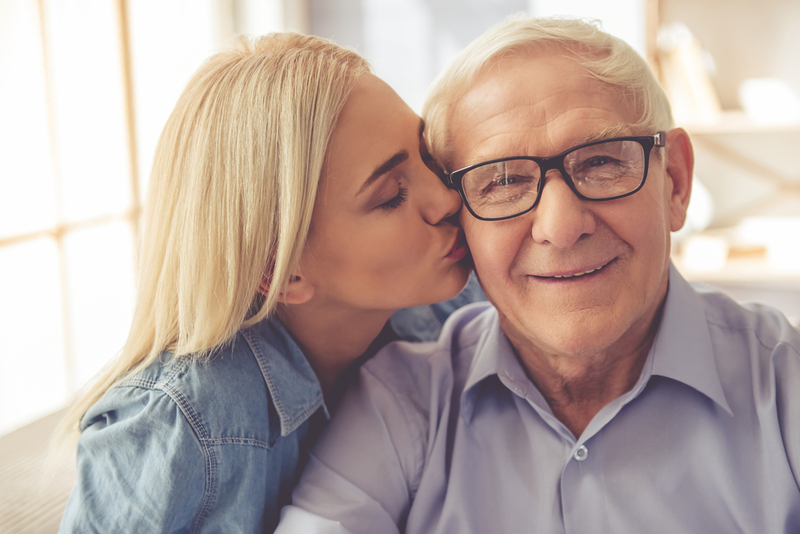 Are Your Parents Ready for Senior Living? Long before this ever becomes a serious topic of debate, you should make sure your parents are financially ready. At the very least, this means going through the estate planning process. Contact Mooney Lyons today and we’ll help prepare our parents for the next step in their lives, whenever that may come.